Admission: Included with Tortugas game ticket admission. 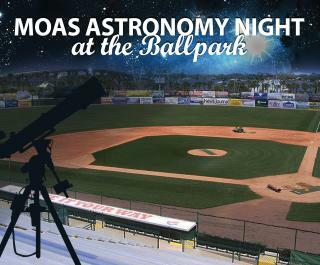 Join the Museum of Arts & Sciences (MOAS) for a special night at the Jackie Robinson Ballpark! Bring your children to the ballpark for an afternoon of fun. Experiment with the Museum's science kits and be sure to be one of the first 500 fans at the ballpark to receive a free Astronomy Night t-shirt! 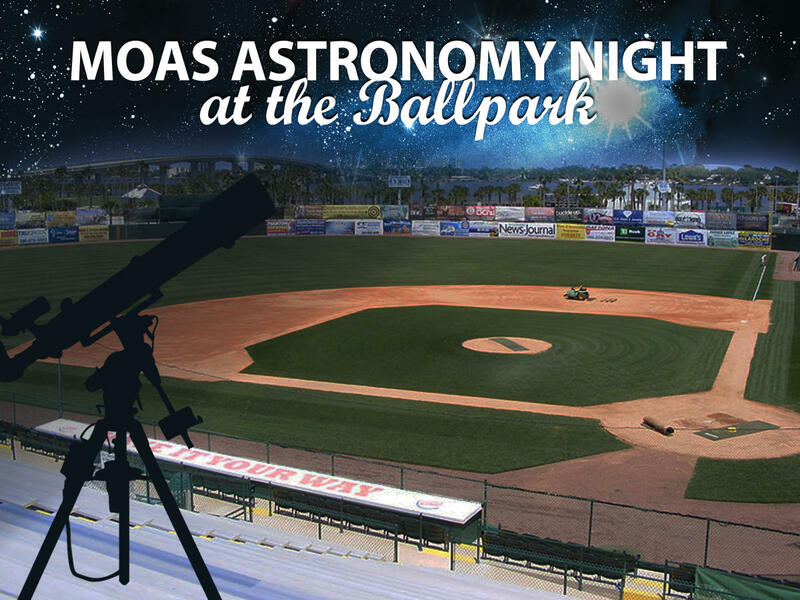 Enjoy the 5:35pm Tortugas game followed by a live astronomy class with MOAS Curator of Astronomy, Seth Mayo and other MOAS Planetarium staff members. With the ball field lights turned off, Mr. Mayo will point out the prominent spring stars and constellations with a bright green laser. Following the brief live tour of the night sky, there will be telescopes set up on the field for guests to peer through and get a close-up view of the celestial wonders up above! Game tickets can be purchased at DaytonaTortugas.com. Included with Tortugas game ticket admission.